DirectChat is a nifty little chat companion app. It doesn’t send messages on its own. The app does allow other chat apps to use chat heads. That includes instances where it may not be supported. 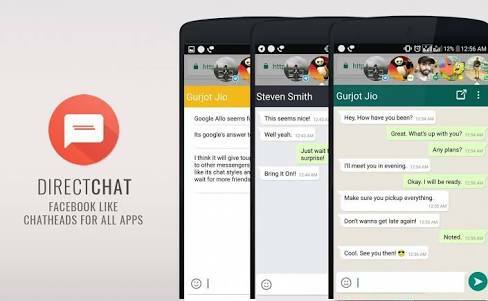 Thus, you can have them with WhatsApp, Hangouts, Allo, or whatever it is that you use. There are some customization options. a Do Not Disturb mode, a blacklist, a block list, and more. The free version contains ads. The pro version goes for $1.98. It removes advertising and adds a few extra features.